The appearance of the ships followed the start of work by Manila to build a new beaching ramp on the island that Philippine Defense Secretary Delfin Lorenzana says will be completed early this year, according to a report from think tank CSIS's Asia Maritime Transparency Initiative on Feb. 6. 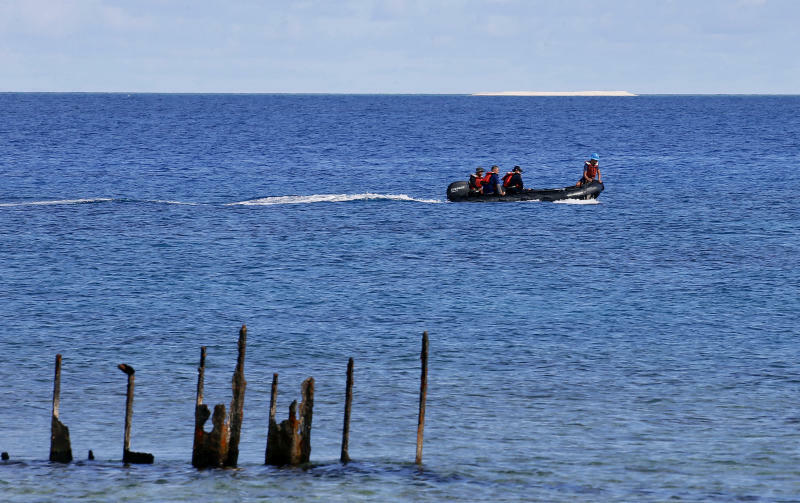 The island that is home to about 100 civilians and a small military garrison is the largest of the nine occupied by the Philippines in the Spratly islands and serves as its administrative center in the area. Thitu and is also claimed by China, Taiwan and Vietnam. The ramp will facilitate the delivery of construction equipment and material for upgrading the island's airstrip and other infrastructure, AMTI said. Bigger ships with deeper drafts would be able to offload supplies directly onto the island, rather than having to transfer them to smaller vessels as was the case before. Additionally, satellite imagery shows excavators depositing sand over a larger area to the north about the size of three city blocks, AMTI said. Lorenzana had earlier said there were plans to expand facilities on the island, including building a "fish port, desalination plant, solar power array, improved housing, and marine research facilities," AMTI said. "Manila appears intent on upgrading its facilities in the Spratlys despite any detente or objections from Beijing," AMTI said in its report. The Philippines' land reclamation efforts are much more modest than those of its neighbors in the Spratlys. Once completed, it will have created 3.2 hectares (8 acres) of reclaimed land in the island group in recent years, compared to about 49 hectares (120 acres) by Vietnam and 1,295 hectares (3,200 acres) by China. American F-35B Lightning II aircraft operating off the Navy's amphibious assault ship USS Wasp conducted "milestone flight operations" with weapons fully loaded in the Philippine and East China Seas, Jan. 26 through Feb. 6, the Marine Corps said. The training mission demonstrated an "increase in lethality and integrated amphibious capability," it quoted Col. Robert Brodie, commanding officer of the 31st Marine Expeditionary Unit as saying. 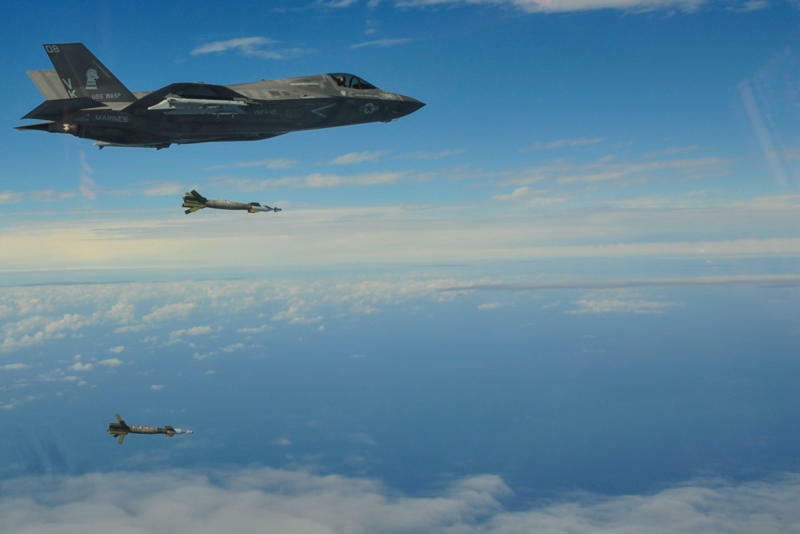 "We achieved mission success by using the full capabilities of the F-35B at sea," Lt. Col. Michael Rountree, the F-35B detachment officer-in-charge was quoted as saying in a news release. 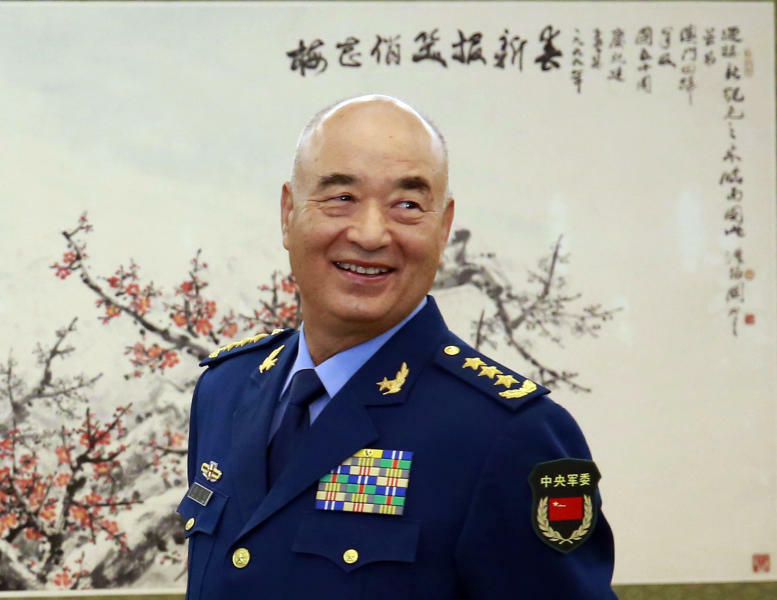 A top Chinese general has emphasized the need for a "strong and modernized maritime law enforcement force" that has been a major participant in asserting Beijing's claims in the South China Sea. Central Military Commission Vice Chairman Gen. Xu Qiliang "required the officers and soldiers to be well-prepared for different cases, encouraging them to staunchly safeguard China's maritime rights and interests," the official Xinhua News Agency said, citing remarks he delivered at a Lunar New Year reception earlier this month at coast guard headquarters. Xu called for "solid practices to further develop the coast guard force, noting that it concerns the overall strategy of building China into a maritime power," Xinhua said. It said Xu's remarks specifically concerned ongoing patrols on the East China and South China Seas. China claims a group of tiny uninhabited islands in the East China Sea controlled by Japan and routinely sails coast guard vessels into the surrounding waters. In the South China Sea, coast guard vessels are used in lieu of navy ships to avoid outright confrontations and emphasize China's claim to virtually the entire waterway. Xu "also stressed steadily enhancing the coast guard's readiness to safeguard maritime rights and enforce the law on the sea and improving their capability to deal with related risks and challenges," Xinhua said.